Fun and attractive the Roxy Jet Ski Special Edition Insulated Snowboard Jacket not only looks great but is functional. The slim fit keeps you looking good on and off the mountain. The Jet Ski is equipped with breathable mesh-lined underarm venting and 120g WarmFlight® insulation technology to keep you warm and comfortable. 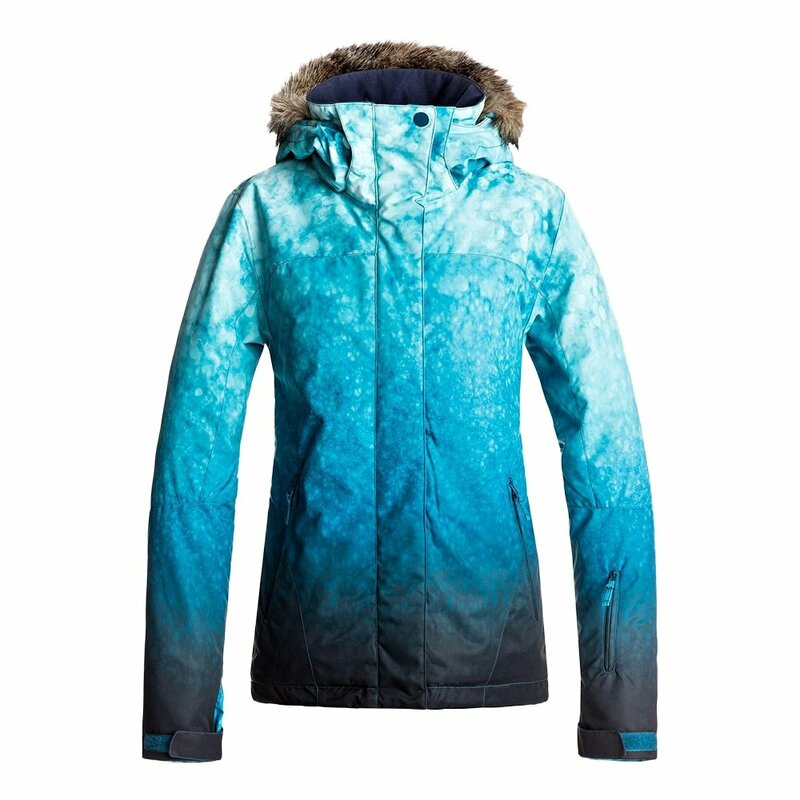 Also equipped with Roxy 10K DryFlight® technology to keep you dry and protected when enjoying winter outdoor weather. This jacket is not lacking in options, loaded with a removable 3-way adjustable faux fur hood, powder skirt, sleeve pass pocket, internal media and goggle pockets making this coat a must, wherever your season takes you.